The future of card and board game online entertainment. We’re in beta and release limited information to the public. Be the first to know what’s happening next. Experience card & board games online in a new way. We are creating a superior experience for viewers while increasing incentives for streamers and making organizing tournaments simpler and more transparent. Our current focus is on Magic: the Gathering. For viewers interact with decklists and player bios, hover-over and expand cards in play, and purchase cards directly on screen. For streamers increase engagement by providing interactive game information and monetize through commissions from in-stream purchases. For tournament organizers collect and manage decklists digitally with a judge portal and track key metrics from events. Take card and board game streaming to a new level. CardBoard.Live will make each stream more interactive, which means more engaged and informed viewers. We believe this will strengthen the entire ecosystem for watching and streaming card and board games online. CardBoard Live is an amazing tool for increasing stream viewership. Cardboard Live has reduced the number of simple questions chat members are asking me, allowing me to focus on more interesting questions and talking through my lines of play more. 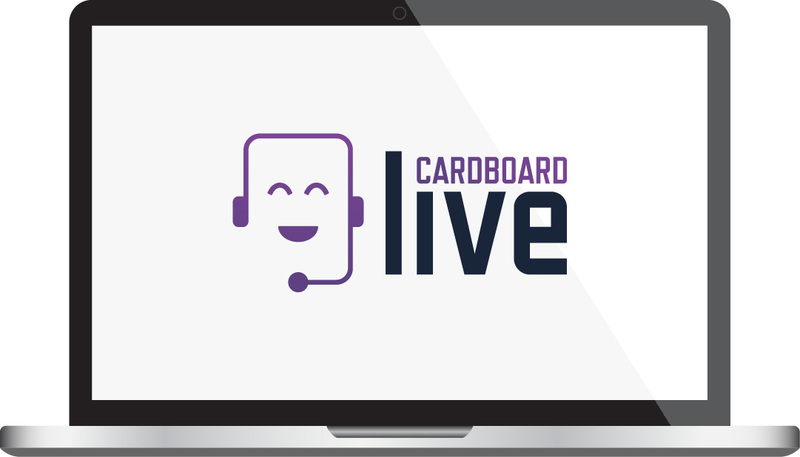 CardBoard.Live brings engagement and viewer interaction to a whole new level! Because we’re in beta, we save the coolest updates exclusively for our email list. Sign up, and be the first to know. ©2019 CardBoard Live. All Rights Reserved.